What drives renowned motivator, life coach and book author Zhariff Affandi to inspire people to live a truly happy life “without limits”? When you speak to Zhariff, you can instantly tell that this is a person who truly embraces the concept of self-belief. 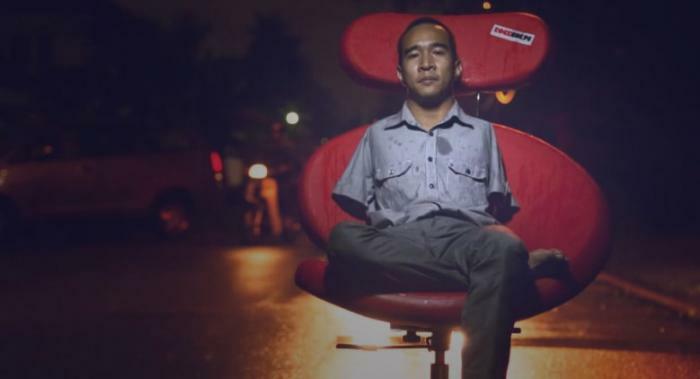 Despite being born without arms, he rose above such limitations to realise his true potential and continues to inspire others to do the same. Never really understanding or apply the term disabled, Zhariff lives his life not just like a normal person, but most time a bit crazier than others. “At quite an early age, I remember my childhood being filled with all sorts of imagination,” quipped Zhariff. “As I imagine, I do and as kids, that’s how we learned to live life and be free of limiting beliefs,” he added. Zhariff has an academic background in developmental psychology and an extensive work in personal and team development, as well as many years of experience in both corporate and developmental agencies. As a seasoned public speaker and motivator for the last 10 years, Zhariff has definitely touched many lives through the many CSR work, local and international humanitarian relief as well as entrepreneurship development programmes. It is not surprising that he went on to set up The Zhariff Initiative, a social enterprise which aims to share and encourage others to lead more meaningful and fulfilling lives through various social and humanitarian programmes and activities. He was then snapped up by the Malaysian Economy Action Council and the Chamber of Commerce to head up Gemilang and Loka Malaysia, aimed at developing and elevating the local youth entrepreneurs scene. For his true grit and determination in being actively involved in many CSR initiatives, Zhariff has received many accolades in the local arena – namely, the Perdana Youth Award – Youth of the Year (Outstanding Achievement Award) 2011, the National Youth Icon 2012, and the UNICEF #THISABILITY AMBASSADOR, just to name a few. He was also appointed as a board member of the National Productivity Council and the International Federation of Professional Trainers (Malaysia). According to Zhariff, there comes a time in everyone’s life when they would face setbacks which he wittily terms “Sort out Stuff (SOS)”. In such a scenario, all one needs to do is to cultivate the power of positive thinking and then proceed to devise a plan of action to be able to get back on track. He strongly advocates the power of positive thinking, i.e. if we focus on the positive things in life, inevitably life starts reflecting back the same. And through a lifetime of learning, growing and overcoming challenges, Zhariff has acquired and developed strategies, tools and routines that have changed his life and that of many others around him. From doing humanitarian work in Acheh, surfing the waves of Bryron Bay, to running national development programmes and consulting on national policies, Zhariff has probably had more adventures than most “able bodied” individuals. If anything, he feels really blessed that he got to learn what he did because he didn’t have hands. “I learned the value of not giving up even if things were difficult or finding a way to do things, even if it seems impossible,” said Zhariff. This October will mark the birth of Zhariff’s first book entitled “SOS – a book of growth and guidance through these turbulently tough times.” The book is a reflection of his own quest in seeking his authentic self – inspiring others with real-life experiences and his lifelong journey of learning.